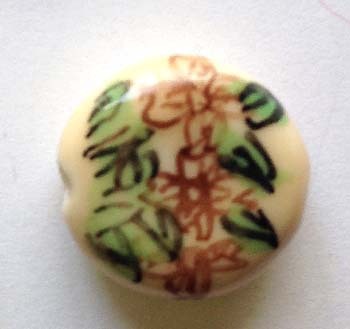 One set of two hand painted beads. Each is about 5/8 inches. Picture is a little blurry.